The recent bounce in URBN is a great start but the proof is in the pudding. Ever since Amazon (NASDAQ:AMZN) changed the game for all brick-and-mortar retailers, the industry’s has been suffering to catch up. 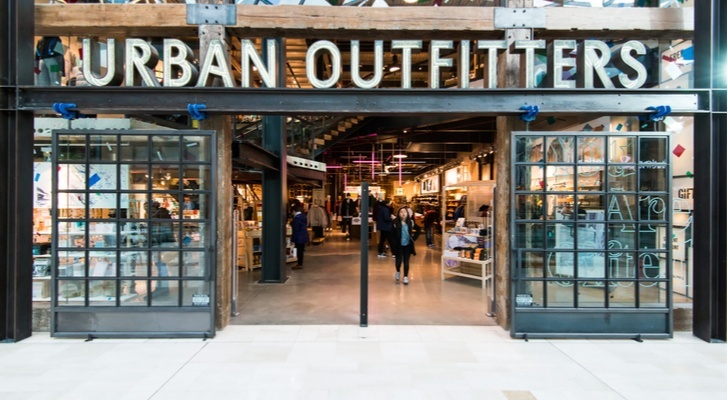 In the last five years, Urban Outfitters (NASDAQ:URBN) stock is down 11% while the S&P 500 is up 55% for the same period. URBN waited too long to react seriously to the AMZN threat and now they are in scrambling mode — and when you scramble you don’t execute plans well. The reaction to the recent earnings suggests that URBN management has its work cut out for it. There is good news in the URBN stock chart as it rallied to a high of 25% off the March 25 lows. It has since given back a decent portion of the rally but it’s still an impressive move nonetheless. However, today’s writeup is a cautionary note against jumping aboard the stock too early. It is tempting to chase the recent analyst upgrades to URBN stock. The technicals, however, suggest that these upgrades are more on the hopes of a turnaround than a valid argument. This is not the same as me hating on the stock, but they say price is truth, so why not wait for a change in price action? I don’t want to chase URBN stock until it clearly beats $35 per share. Until then, onus is on the bulls to prove that they can sustain the rally and break the long-term negative trend. Once it does, the upside potential will be big as there are many more analysts to upgrade the stock. It is important to note that URBN is suffering while the consumer has never been healthier. The transition to e-tailing is proving tricky as AMZN keeps upping the ante. It is a master at operating on thin margins, making it mandatory for URBN and its peers to also do that. And it’s hard to create a physical marketplace without spending a lot so their hands are tied. Consumer spending habits have changed and it’s a permanent one. The days of going to the mall to shop are fading as online retailing is taking over. This is not likely to change so companies like Urban Outfitters have to adjust to it or die. So for the last five years, Urban Outfitters stock has traded inside a massive seesaw from a $17 to $50. Currently it’s it’s almost in the middle of the range and therein lies part of the problem. These pivot areas on a stock chart are magnetic so on the way up they become resistance. Both bulls and bears agree on the value here so they fight it out hard thereby creating congestion in the price action. So Urban Outfitters stalling while attempting to breach $34 per share wasn’t a surprise. This was the ledge from which the stock fell apart in December. Going through it and regaining the level will require more work from the bulls. In order for them to mount a secondary and successful attack at the line, the bulls will have to first hold support above $30 per share otherwise they will continue trading inside of descending channel of lower highs and lower lows eventually set a new low for the year. Luckily the upside of falling prices is in most cases that it creates value. Urban Outfitters stock trades at a 11x trailing P/E ratio, which is low in absolute terms and middle of the range in relative terms. It’s cheaper than Macy’s (NYSE:M) but more expensive than Abercrombie & Fitch (NYSE:ANF). So from an investment perspective, unless I want to commit to owning the shares for the super long term and hope it works out, there is no real reason to buy shares of URBN stock here. Without a catalyst, I fail to see the upside potential — especially when it’s already struggling in a rising equity market. The S&P 500 is up 15% for the year and almost setting new all-time highs, while Urban Outfitters stock is down 5% and can’t snap out of its descending trend. This is not the same as saying short the stock because I have nothing against the company or its prospects. I just don’t like the price action it is going through. There is nothing about it that says turn around is coming without a catalyst. And just buying the stock and hoping it rebounds is more gambling than investing. Technically, there is also the threat of a weekly downside bearish scenario that could unfold. If we get a surprise dip in the stock market in general, Urban Outfitters stock could lose the $27.50-per-share level and that could trigger a major bearish pattern that would set new all-time lows. Although this is not a forecast it is a scenario that could unfold. For those who have been holding URBN stock for a while and haven’t given up on it, it’s probably okay to stay in it to see how the next few weeks on hold. However, if the price action continues to be bearish I would suggest buying some put protection from options just in case we get a Black Swan event that causes a big dip in the next few months. After all we’re still facing global tariff wars with China and Europe. Article printed from InvestorPlace Media, https://investorplace.com/2019/04/urban-outfitters-stock-bounced-hard-but-dont-buy-below-35/.